Madagascar is approaching 50 years of independence this year. 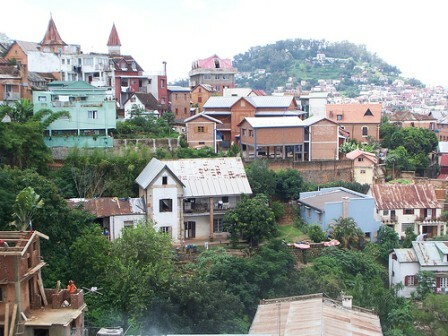 To mark the progress of the country Patrick of Rising Voices grantee FOKO Madagascar interviewed two elders from Madagascar on what Madagascar has become after 50 years of the independence. Imahaka reports that the journalism school ESSVA at Antiserabe conducted a campaign of H1N1 virus which already infected several hundred people from Madagascar. The post describes how the students danced on the podium to attract the crowd. They used puppet shows and other outreach activities to spread the word about how to prevent the H1N1 influenza virus. Here is the group photo of the triumphant students. Ariniaina at Dago Tiako discovers that some Malagasy bank notes had been issued without the Governor's sign. Last but not the least Tahina posts videos of some oldies songs from Madagascar. Read more from FOKO Bloggers. Maman’i Claudette is right saying that education has a key role in Madagascar’s development and the government should understand and work on that. It’s sad we have the same facilities at the universities that our fathers had.